I know we’ve probably said this a few times in our travel blog, but I’ll say it again, we have found one of the most beautiful places on earth. 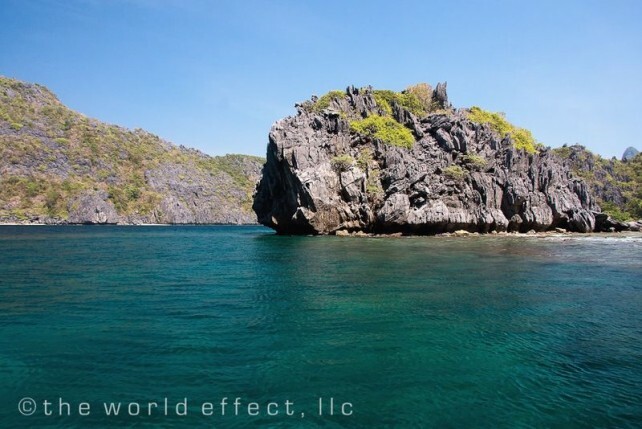 Visiting the Bacuit Archipelago in northern Palawan of the the Philippines is an absolute jaw-dropping experience. This place is a series islands surrounded by pristine turquoise water. 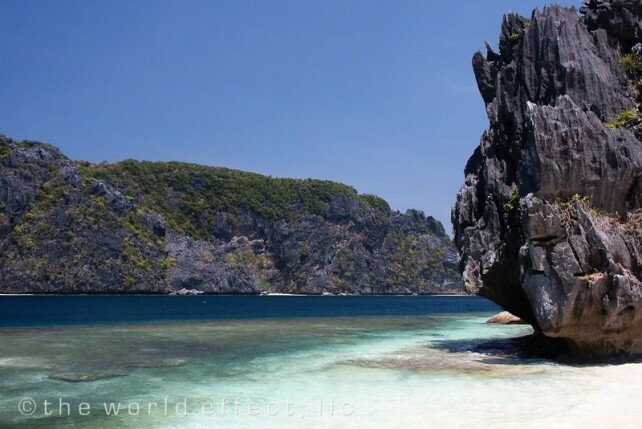 Much like Thailand, the islands consist of limestone cliffs and outcroppings, except the rock formations in Palawan are much more exaggerated with knife-like ridges. 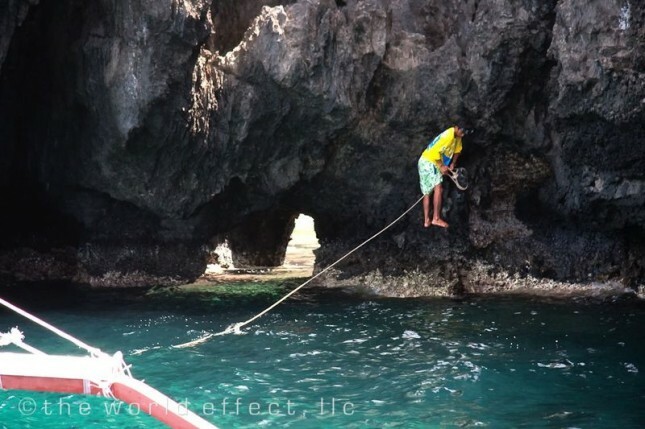 Boat trips in Palawan are about a fourth the cost of Thailand, so we took full advantage of exploring the water. Most of the islands and water are protected as national reserves. 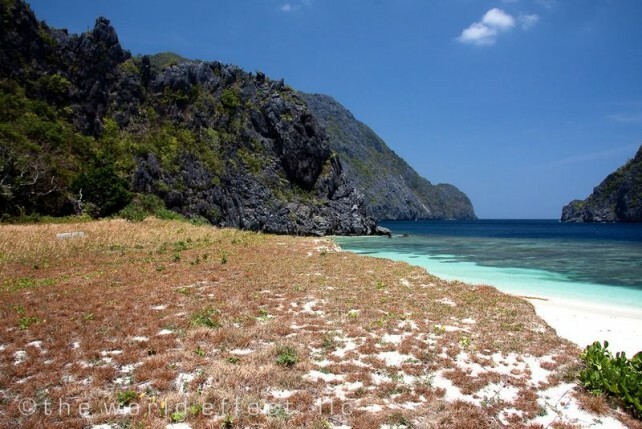 The islands have strict development policies as well as a requiring visitors to purchase park licenses. This has resulted in a place with no pollution, no trash, unspoiled beaches and incredible sea life. e snorkeled non-stop here. The visibility in the water was one of the best we’ve ever encountered. Below the water the limestone formations continue, and in some places the water depth plunges to a deep blue abyss. The sea life was everywhere. At one point, I was paddling away on the surface when I saw Meggan swimming below me with two sea turtles. In fact, most places it would not be too enjoyable having jellyfish anywhere near. These waters were full of jellyfish, some of which almost glowed. 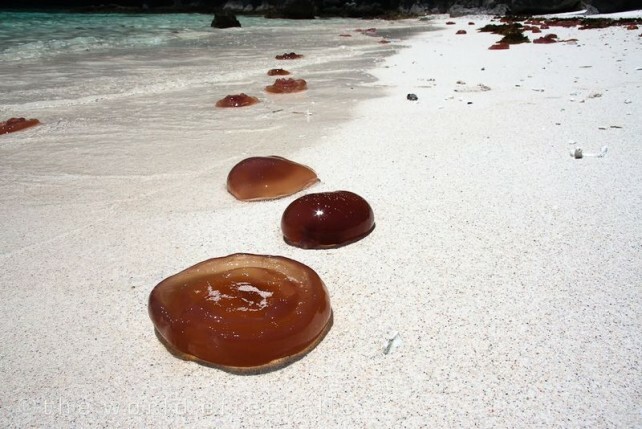 None of these jellyfish sting, is this place for real? It’s tough to go back to reality after a few days of this. 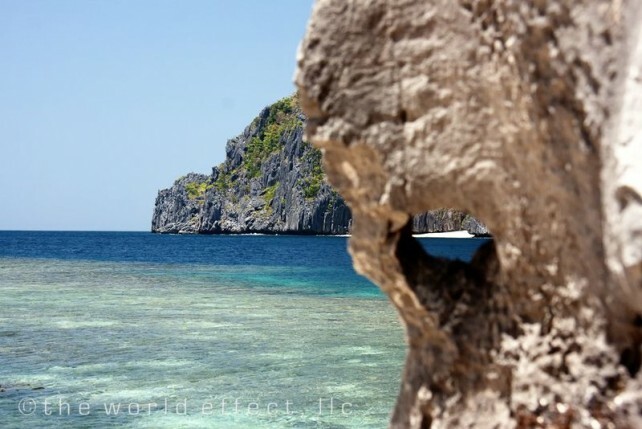 hello i added your site to my favorites so i can check for any travel blogs you may have in the future, i am planning a trip to Palawan soon, i love the islands and I am from the island of Cebu i hope i can get your help in my future Palawan travels – great photos! We thought you might like that. 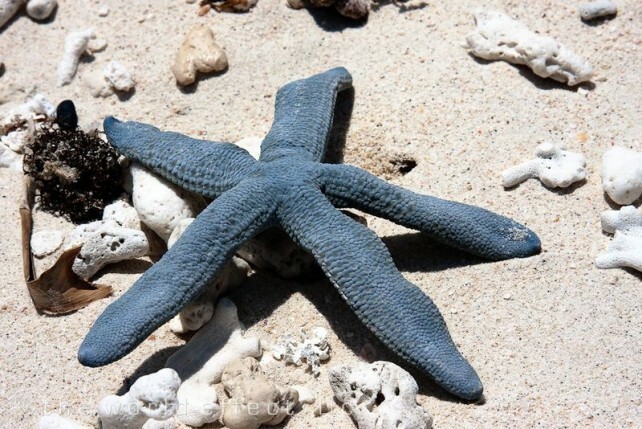 You would love the shells and starfish in Palawan! Thanks Loren! We wish we had time to make it down to the Cebu area. Let us know if you have any questions. Completely captivating…putting it on my Someday list. What a gorgeous place! 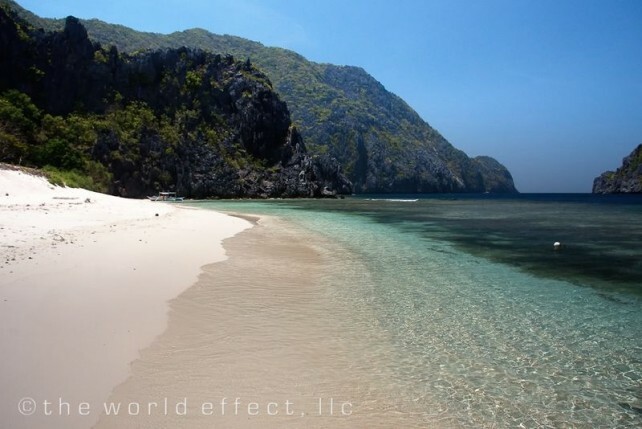 I’m definitely going to Palawan next year! Great photos. 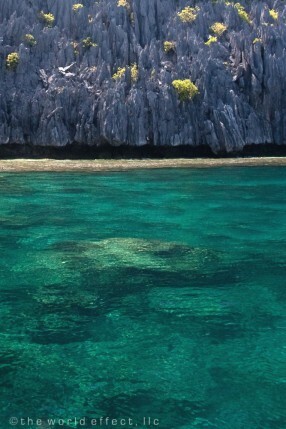 Palawan is just amazing. I am heading back to the Philippines in June, will you guys still be around? Any plans to stop over in Thailand? Thanks! I wish we were still there. We actually just left Bangkok for Kathmandu. Thanks Brian- We completely agree, definitely a hidden treasure. I’ve been moving quickly these last few weeks and just finally got to see some of these pictures, jaw dropping even through the binary lense. I cannot wait to see this in person. Hi! 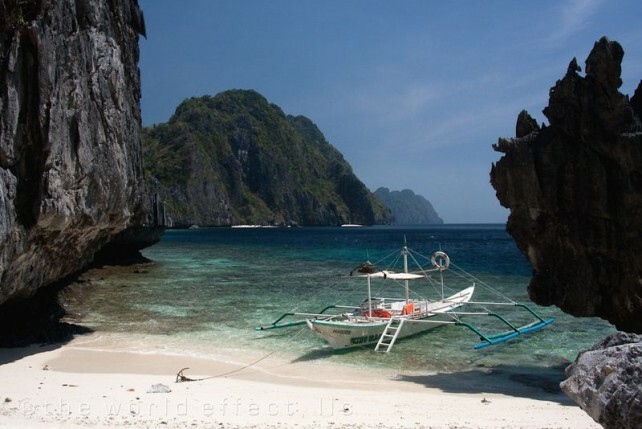 I live in the Philippines but I have not traveled all the wonderful destinations yet. 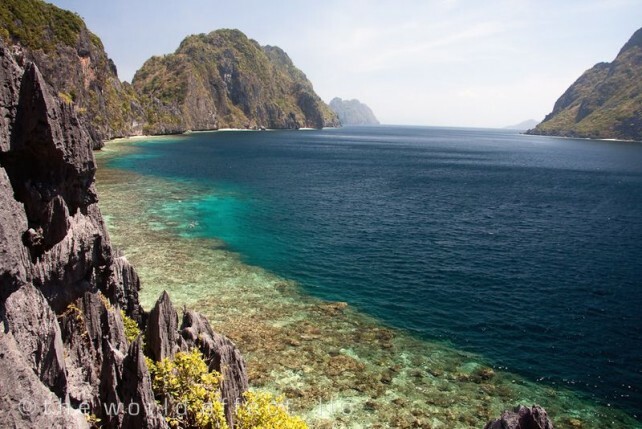 seeing this blog post, the natural wonders this place has is truly captivating.Cagayan de Oro City has also something to show!